Thermostat wire is made of multiple strands of solid copper wire, each wrapped individually with a colored shell and enclosed together inside a protective sheathing. During installation, the wires are connected to one board that sends certain data through each wire to the thermostat. The system will not operate correctly if the wires are incorrectly connected. The thermostat wire is color coded so the technician can identity which wire goes to which port on each board. It’s important to note that in some cases the color of the wire does not necessarily mean it connects to that came color one the board. This could happen if the wires are swapped on both ends or if there’s a spice in the wire somewhere that was not matched up to the correct color. 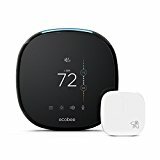 If you decide to get rid of your outdated thermostat for a smart or wifi thermostat, be sure to mark the wires to indicate which color letter on the board they are connected to. 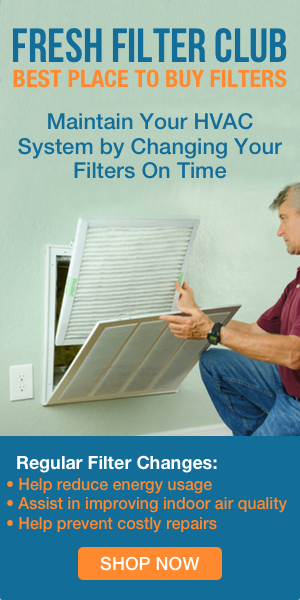 Only after you’ve done this, disconnect the thermostat for replacing. There are a variety of thermostat wire types. The main difference setting each apart is the number of colored wires. 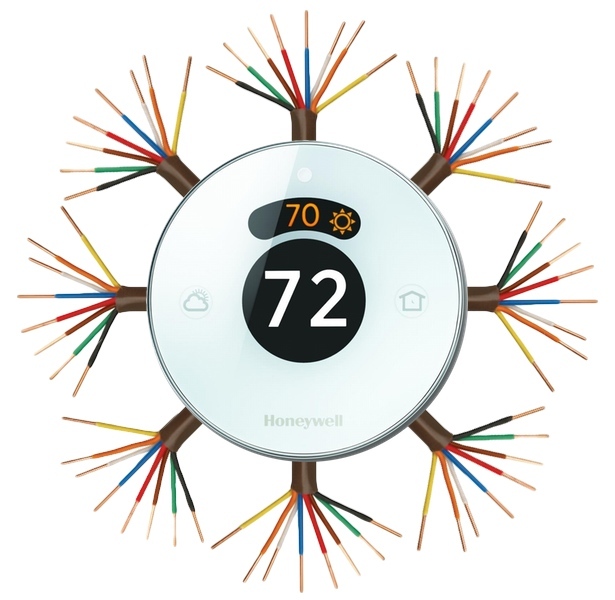 HVAC systems with more functions need more wires to communicate to and from the thermostat. The most common is 18/5 (5 strand, 18 gauge). The 5 strands of wire provide enough functions for the modern thermostat. The most common benefit of having 5 conductors is being equipped with a common wire, known as the c wire. I’ve found the best place to purchase thermostat wire is Amazon. Read reviews and find the best prices on Amazon.com. For simple heating applications, a 2 conductor wire is sufficient. Multi-stage systems can require up to 8 conductors because of the amount of communication needed between the thermostat and air handler or furnace. 18 gauge thermostat wire is recommended for any distances up to 250 feet. For shorter runs use 20 gauge. A thermostat wire uses low voltage signals to transfer data. Over a long distance, the signals can become to weak to get a reading. The larger 18 ga. wire helps transmit data over a longer distance. Using a pocket knife, trim off ~1/4″ of the colored coating to expose the wire. Most modern wifi thermostats have a straight connection, however some still require a small hook shape to be formed on the end.